13:00 CET, 26 January 2017, – Today second event organized by the human rights defenders, with participation of lawyers from Regional Centre for Human Rights, UHHRU and KHRPG, was held on the margins of the Winter Session of PACE, CoE. 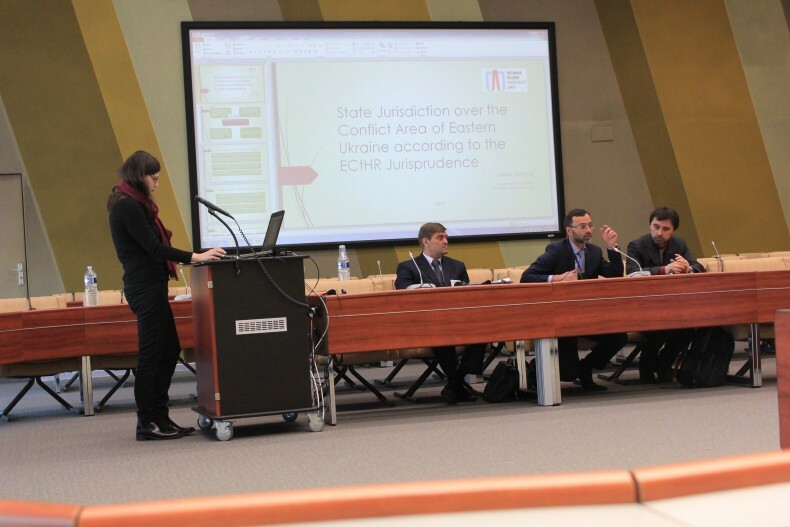 Speakers, Sergiy Zayets, Nadiya Volkova and Gennadiy Tokarev discussed the responsibility of the States, parties to the conflict in Crimea and the East of Ukraine, in the context of the ECtHR case-law. 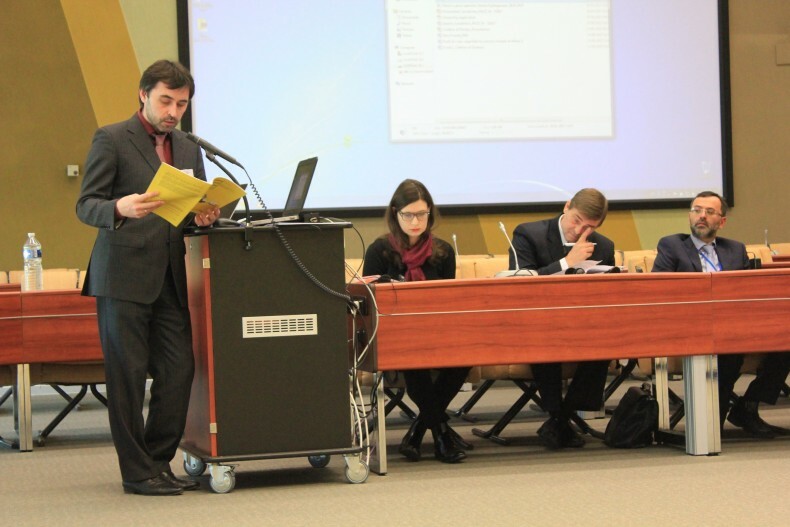 Event was hosted by Georgii Logvynskyi – MP of the Verkhovna Rada of Ukraine, Deputy Head of Ukraine Delegation to PACE, Vice-President of the PACE. Nadiya Volkova, focused her presentation on the jurisdiction of the Russian Federation over the violations committed during the conflict in the East of Ukraine in accordance with the European Court of Human Rights jurisprudence. Russian State exercises its jurisdiction through military, economic and political support to the separatist regime in Donbas region. In her speech she called upon everyone who stands for the democracy, human rights and the rule of law to defend them now even more in light of the latest world conflicts and daring political developments that could result in even more dangerous global order. Gennadiy Tokarev, Director of Human Rights Litigation Centre of KHRPG, spoke about the jurisdiction and the responsibility of Ukraine, it’s failure to fulfill its positive obligations in accordance with articles 2,3 and 13 of the Convention. He stressed that “Victims of the conflict in the East of Ukraine are seeking justice and reparations to be made by the state of Ukraine. Ineffective investigations into the violations mean that the State of Ukraine, party to a conflict, is failing in bringing to accountability those responsible. State authorities whose jurisdiction includes investigating the violations, including the Security Service of Ukraine, not only do they fail in their positive duty, but they also fail to fulfill their function, they are act in violation of human rights. Creation of physical barriers, such as checkpoints, for those who live on the occupied territories by Ukraine, violates their right to free movement in violation of the ECHR”. 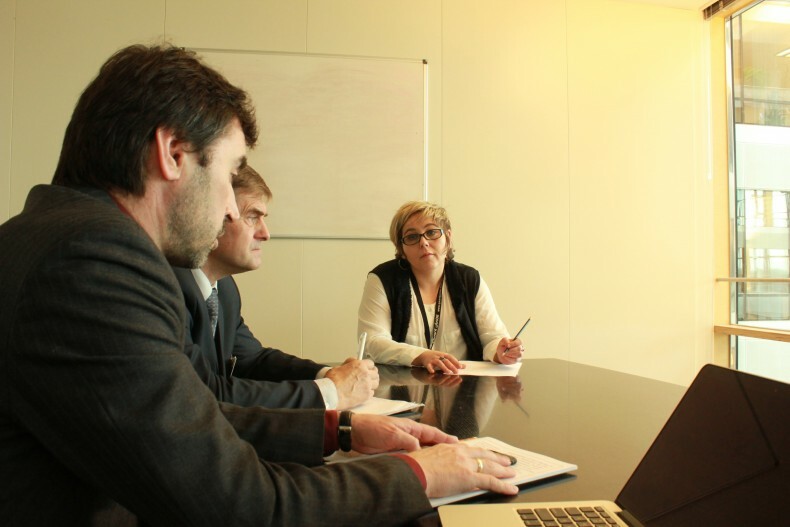 In addition, the experts met with Ms Anna Rurka, the President of the Conference of INGO’s, to discuss the ways the Conference’s can support civil society of Ukraine in their efforts to combat human tights violations in Crimea and Donbas. Ms Rurka agreed to issue a statement in support of the newly arrested Crimean human rights lawyer, Emil Kuberdinov, on a trumped up charge and exercise active pressure on the Ukrainian authorities to allow members of the civil society to participate in the public decision-making process.